If you haven't done so yet, start with the entry dated "Nov. 12th" below to get caught up on our activities of the last three days. 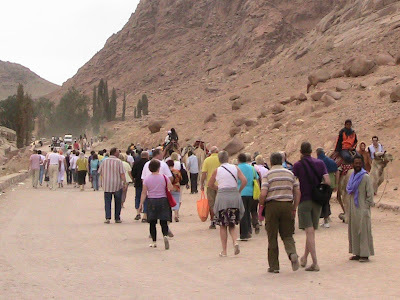 Today our group of hardy pilgrims is scheduled to visit "Coptic" Egypt and the Church of the Holy Family. There is so much yet to see and experience, but we only have today! 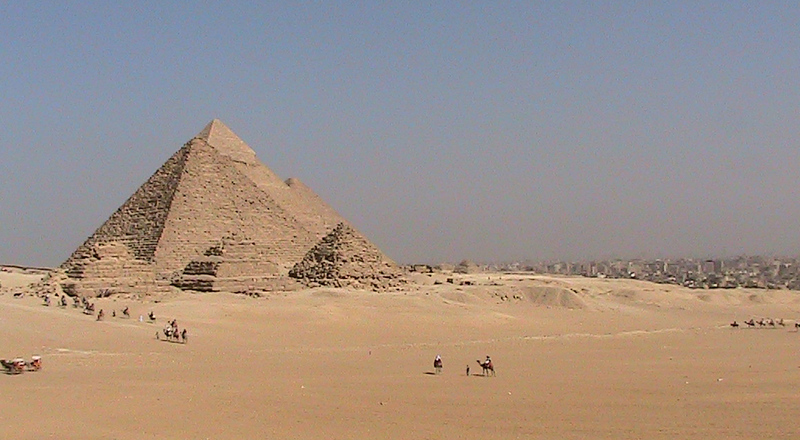 Cairo is an amazing place–this is a city with no traffic lights (!!) but the traffic just flows and drivers are considerate of one another. It would be interesting to try this experiment in the states! For those who love to shop, part of today will be spent at the Cairo Bazaar, one of the most fascinating and unique in the Middle East. 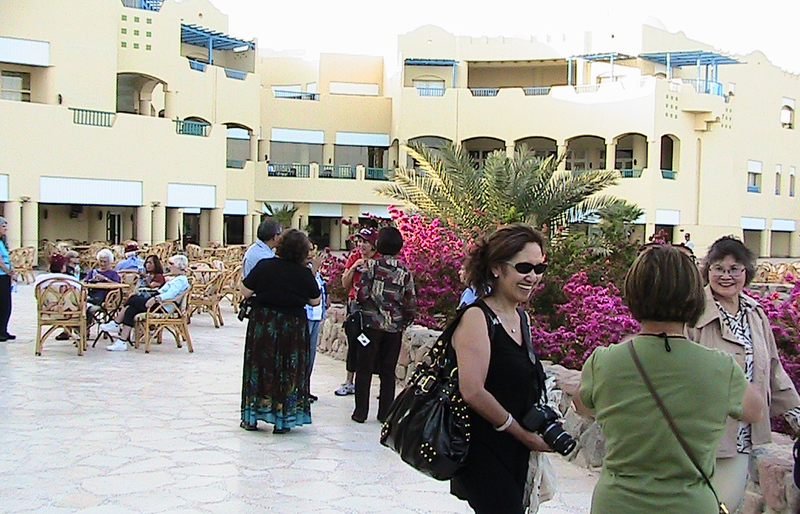 Then we will return to the hotel for dinner and pack for home. It is interesting that many of us already have our thoughts turned toward home–already the cares of the life we left behind intrude on our final hours here. But we do miss our families and friends and are ready to come home. We leave for the airport at 8:00pm Cairo time, to depart before midnight and we arrive at New York-Kennedy before dawn tomorrow, Tuesday, Nov. 16th. Please pray for us at 2:35pm, Mountain Time today, that we will have a safe journey home. I suspect that there will not be another opportunity to update these entries and the stories of our "last day" will have to wait a while for a later opportunity. Literary thousands of pictures have been taken and we all have made some new friends, and memories that we will indeed cherish a lifetime. It is difficult to organize a summary thought or two ... we came here because this was the land where Jesus walked and we have tried to trace his footsteps and grow in our faith. May the Lord bless our journey's end and give us the wisdom and the courage that is part of a Living Faith in the only Savior of the World. We pray also for you, that God may bless you in every way and make his life abound in you, that the Gospel may be preached to all the world. Amen! 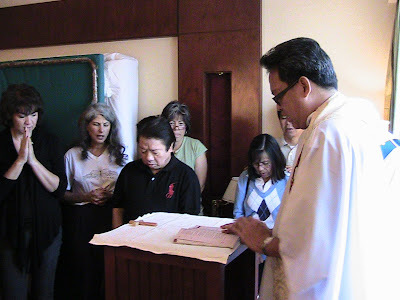 Someone told that what we were doing was illegal–we gathered at 7am in Room 1011 to celebrate Sunday Mass. Fr. Oscar of Holy Trinity in Paradise Hills, CA (near San Diego) led us in a quiet celebration of our faith. We treasure our new friends from the San Diego area! As always, you were in our prayers this day, and we continue to carry your prayer requests with us and in our hearts as well. Today's Gospel passage where Jesus says, " ... there will not be one stone left on top of another; they will all be thrown down" greatly impacted me–we had walked the Temple Mount in Jerusalem where those words were fullfilled by the Romans in 70 A.D. What a powerful gospel to hear as we continue into our last two days of this Pilgrimage. Cairo is a modern city of 25 million and the Safir Hotel is stunning–by far the nicest and most oppulent of all the hotels we have stayed in. 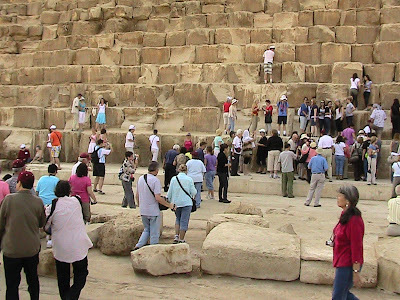 November is the beginning of the heaviest tourist season in Egypt and their are many tour busses carrying groups from many other countries. After Breakfast, our schedule today included a trip to the Pyramids and Sphinx (just south of Cairo) lunch at another very nice hotel, a visit to some local shops and a trip to the Cairo Museum–what a place! Our evening was caped off with a dinner cruise of the river Nile. 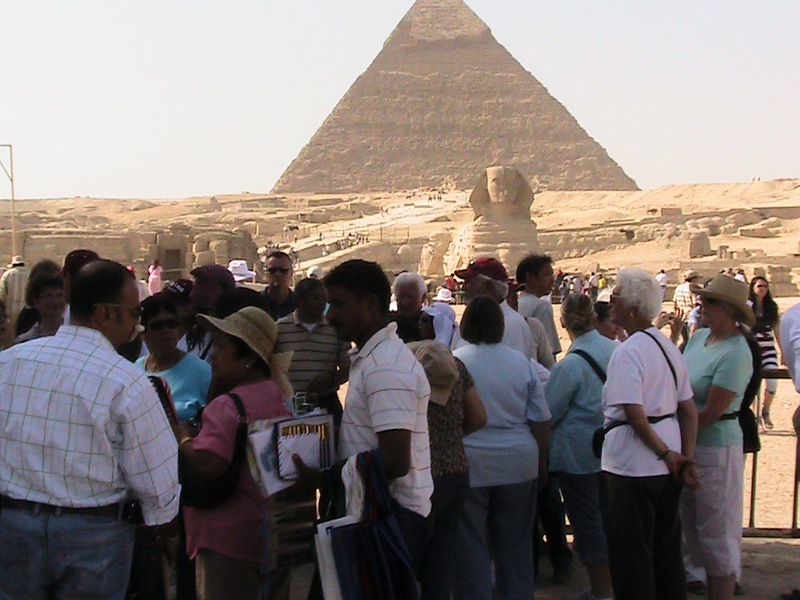 The Pyramids was another site that was thronged with tourists. We were allowed to climb the great Pyramid itself–the burgandy caps to the left is our group beginning the climb. 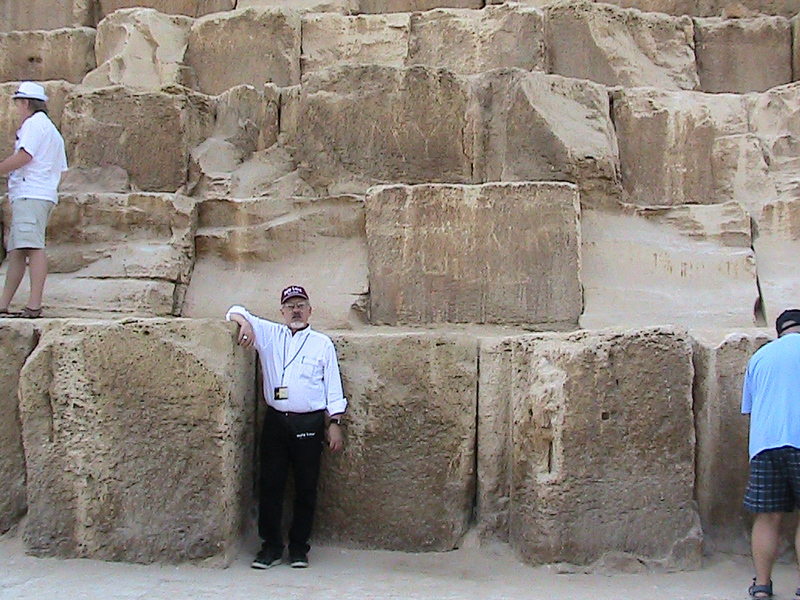 The scale of the building blocks of the Pyramids is amazing. 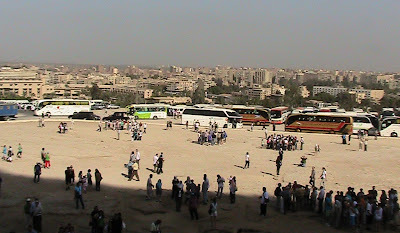 From the lower levels of the Great Pyramid, the throng of tourists, dozens of tour buses, and the city of Cairo in the distance. Many of us choose to take our first camel ride here, because the end-point of the ride offers a view where one can see all nine of the pyramids of Giza "in a row." The camel ride was quite an experience–the animals seem very gentle, are not especially foul-smelling, and not at all worthy of the nasty reputation that they seem to have in the states. The owner spoke good English and was very good with a camera–he took the picture below. 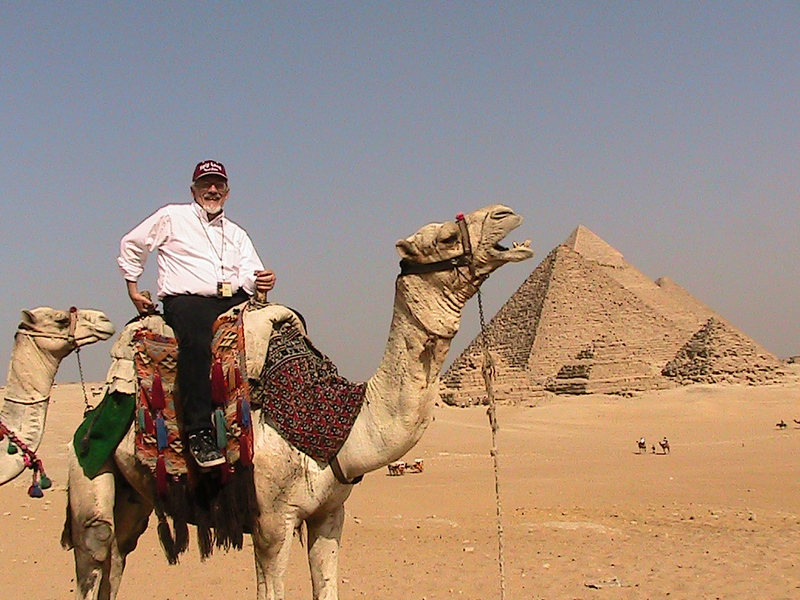 When I asked, I was told my camel's name was "Michael Jackson"! 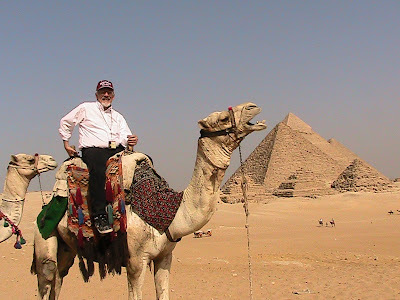 About 45 minutes on a camel for $10–one of the best values on the tour! Ayman did a superb job of keeping us all together and he didn't hesitate to go looking for the "lost sheep"! 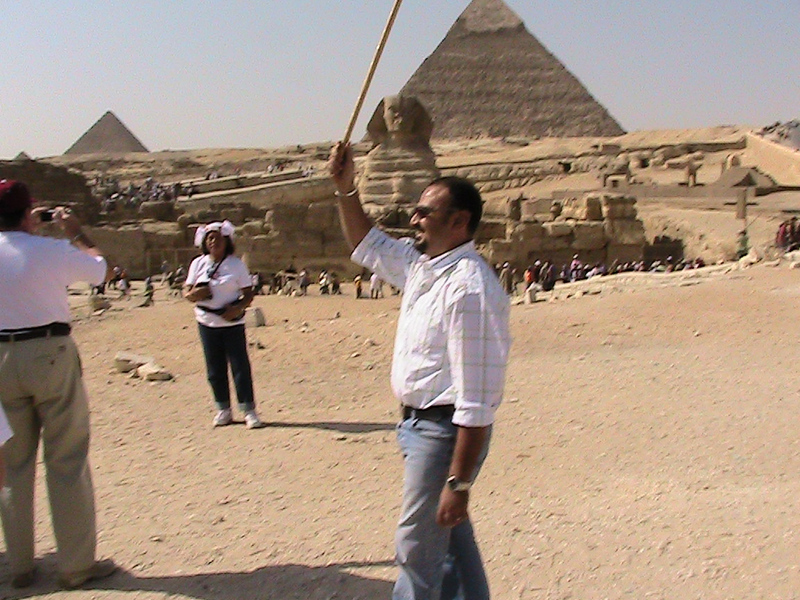 As an archaeologist he was in his "element"–in this picture he is gathering the group to explain the significance of the Sphinx and the temple complex that surrounds it. Here too we were joined by many others tourists and accompanied by persistent but polite street vendors who were selling an interesting variety of books, head dresses and other items. Ayman says that the average Egyptian government workers makes about $300 (in US currency) a month--a dollar bill is a LOT of money in Egypt. 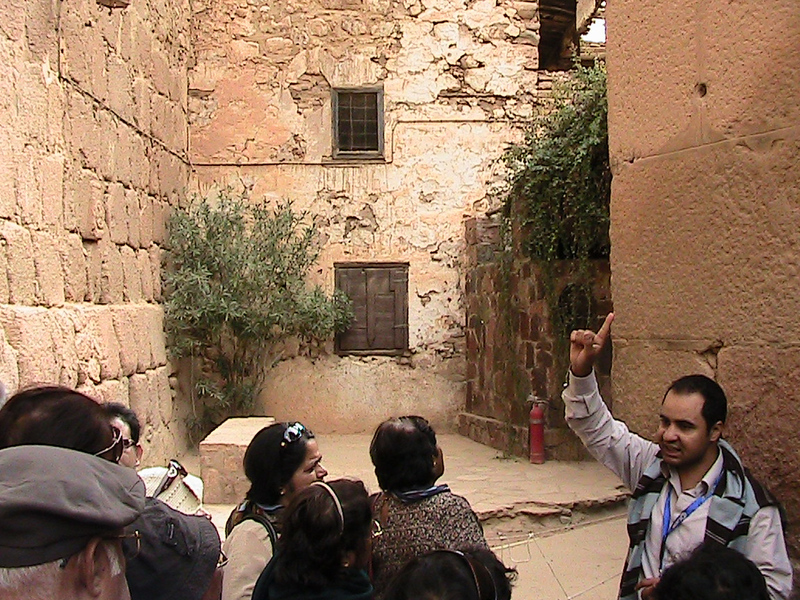 In this picture Ayman is defining the rules for access to our group to one of the many vendors. After the trip to the Pyramids we had lunch at a very nice hotel that was close by, comparatively speaking! Much of the afternoon was devoted to a whirlwind trip to the Cairo museum. The day was capped off with a dinner cruise on the Nile River. The food was excellent and the entertainment was amazing--we saw a "whirling dirvish" and Ayman explained the signifcance of the dance--a father's joy of finding a lost child! It is amazing to think that these are the same sights that Joseph and Mary and the boy, Jesus, would have seen nearly 2000 years ago ... "out of Egypt I have called my Son." 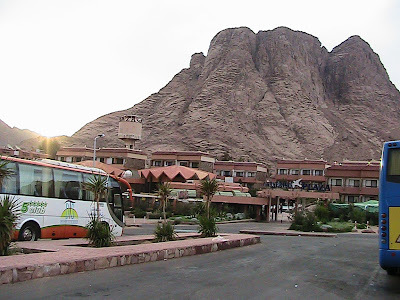 Early the next morning we had breakfast in St. Catherine's City, then loaded the bus for the short trip to St. Catherine's Monastery at Sinai. We parked at the lower parking lot and walked the 15 minutes it takes to get to the Monastery. For those who wanted there was the option of a Taxi or a camel ride up to the monastery itself. Today we all chose to walk. 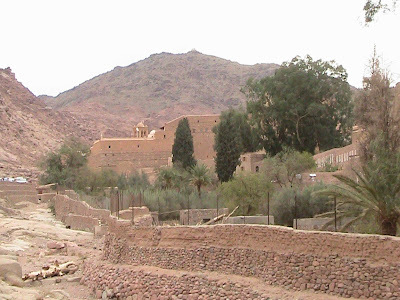 The Monastery quickly came into view. 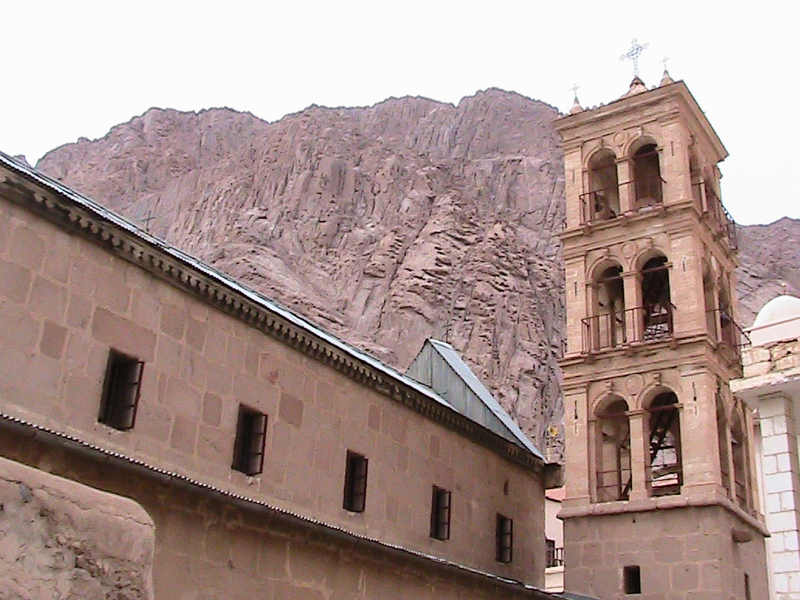 St. Catherine's Monastery is an ancient Eastern Orthodox Monastery, The monks here are an independent group with their own Archbishop and they enjoy special staus within the Orthodox community. We entered through the main gate and through a small entrance we were allowed into the great church, but were not allowed to take pictures inside. 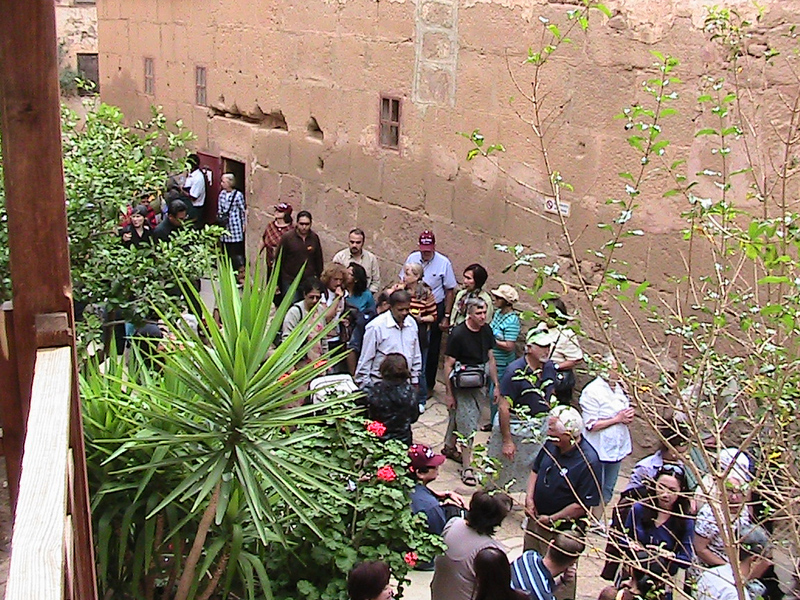 The Monastery courtyard was crowded with early morning pilgrims. We spent a considerable amount of time here, walking the grounds, praying and hearing the story of the Monastery and the mountain. The monastery is built around the "burning bush" of Moses which is in the main courtyard. From a distance the most prominant feature of the Monastery is the tower, seen here from the courtyard. 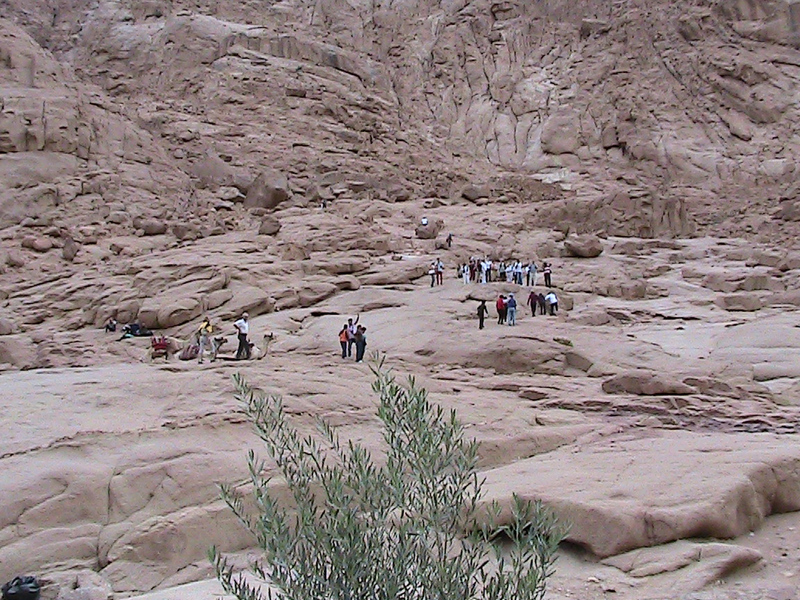 Back outside, many pilgrims climbed the rocky hill opposite the Monastery to get a better view. The courtyard was crowded with many pilgrims and there are two Gift Shops at the Monastery that have an amazing assortment of Icons and other religious items for sale. 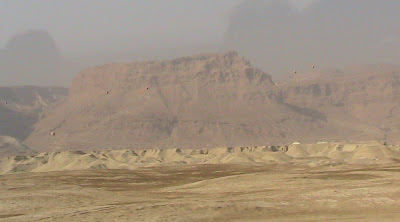 This view is seen from the opposing hillside. Somewhat reluctantly we walked back to the bus to move on toward Cairo. With each step my admiration and appreciation of the saints who have gone before us grows. 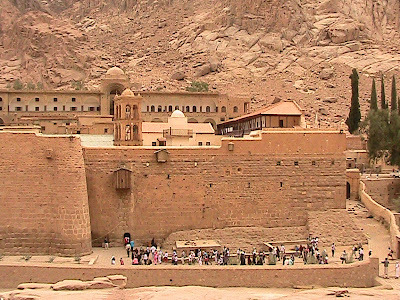 Sinai seems like such a desolate place, yet the monks of Sinai have lived here and welcomed pilgrims for 1400 years–an astounding thought! 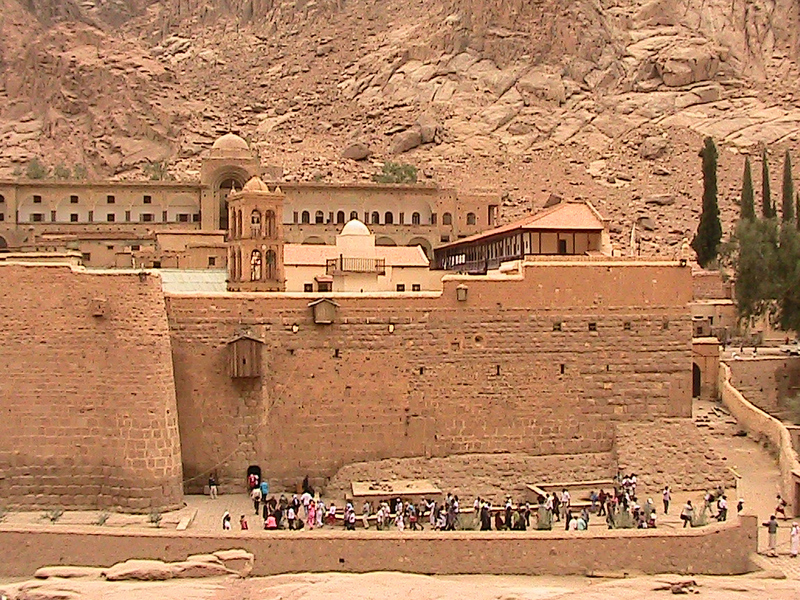 It is a six hour drive from the St. Catherine's to capital city of Egypt. 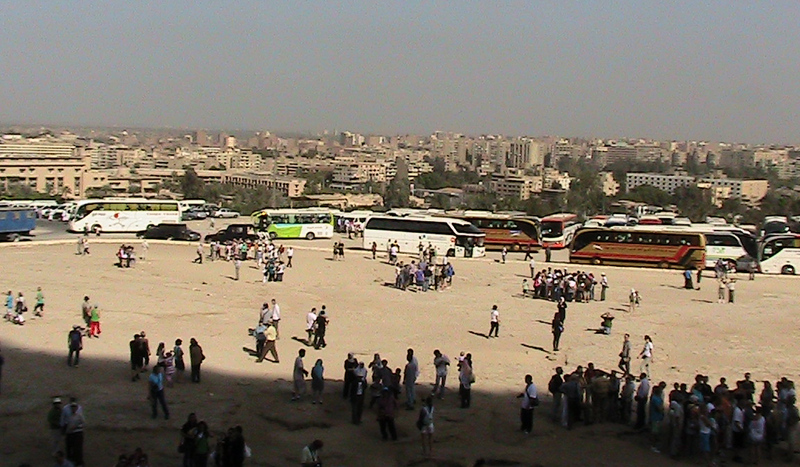 The bus was generally quiet as we considered the places we have been and the things we will yet see–Cairo awaits. Wednesday began with a trip to the "Shepherd's Field" in Bethlehem, where we had our morning Mass. A mal-functioning camera means that I have no pictures there and I will have to depend on the generosity of others and post them at a future edit of this entry. After the Gift Shop we were treated to a surprise-the group was honored with an invitation to Issa's parent's house for "Tea." We all had a wonderful time and were deeply honored that Nicholas and Lydia would invite us to their home. The view of Bethlehem from the roof of the house is spectacular! In the picture below Nicholas, Issa's father, bid Deacon Don farewell as we prepare for our trip to the Church of the Nativity. Christmas is still some weeks away but the Church of the Nativity was very busy and the wait in the line was a long one. In this picture we have Deacon Don and Fr. Anthony Romero waiting in line. The Church is currently under major reconstruction and there is scaffolding everywhere. Even so, the wait was well worth it to see the cave in Bethlehem. After this we journeyed to the birthplace of St. John the Baptist in the mountains outside of Jerusalem, and our last stop of the day was to the village of Emmaus, really only a short distance from Jerusalem. After dinner, most of us continued into the late evening with a beutiful "night tour" through the City of Jerusalem. The Temple Mount and The Mount of Olives are both well light at the view from either side is simply spectacular. After taking in the panoramic view of the city at night, we went down to Ben Yehuda St. for some ice cream, a little late-night shopping, and a trip to the ATM. It is wonderful to know that there are ATMs in Israel that dispense dollars! May God bless you this day-you are in our thoughts and prayers always! After our extraordinary experience in the Church of the Holy Sepulchre, we returned to the hotel for breakfast and a couple of hours "off" to rest a little and reflect on what we had just participated in–a group Mass in the Holy Sepulchre is truly a "once-in-a-lifetime" experience, and you were in our thoughts and prayers. At 11:00AM we began the 2nd part of our day–a trip to the Temple Mount. 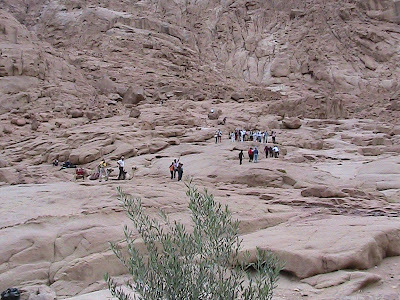 It is perhaps the holiest site in Judaism and, some would assert, the holiest spot of ground on planet Earth. Also because of this, more blood has been shed over these few acres of land than over any other. It is the site of Abraham's sacrifice of Issac and Solomon Temple (which was destroyed by the Babylonians in 587 BC). It is the site of the Temple of Jesus' day, built by King Herod the Great, who died long before its reconstuction was finished. The Mount saw the invading Roman armies who destroyed the city of Jerusalem and Herod's Temple in 70AD. Everywhere is Israel there are ruins to be discovered and this is also true of the Temple Mount. Even as one climb's the ramp to the Wailing Wall, one can see excavations in progress. There are Security check points everywhere in Israel, and the Temple Mount is a sensitive area. We were told to leave everything we didn't need on the bus, including watches, and jewelry. 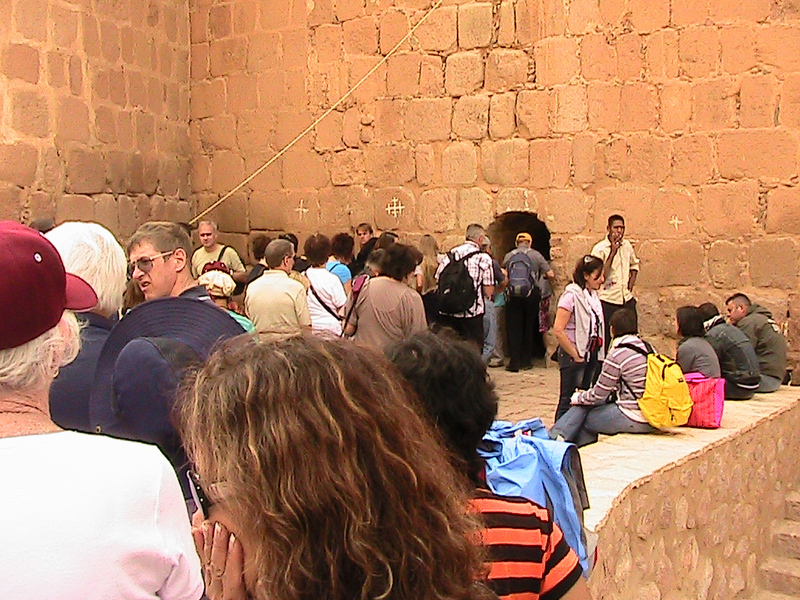 Strange, perhaps, to modern western attitudes, the Wailing Wall is segregated by gender–the security line to the left was for the men, and the one to the right was for the women. 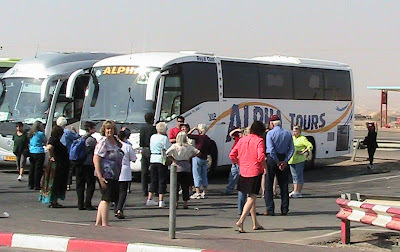 Having successfully cleared the Check Point our group entered the area of the "Wailing Wall" that we have seen on TV so often. The crowd was light this day, but made up of what I'm sure is quit "normal"–Security guards, "Orthodox" Jews (black suites and hats for the men, long dresses and head coverings for the women), other Jews, Moslims and many tourists. There was even an Evangelical Christian group a stone's throw from us quietly singing, "How Great is Our God", a popular contemporary Christian "worship song." Everyone taking in the site and worshiping in a way that is comfortable to them. 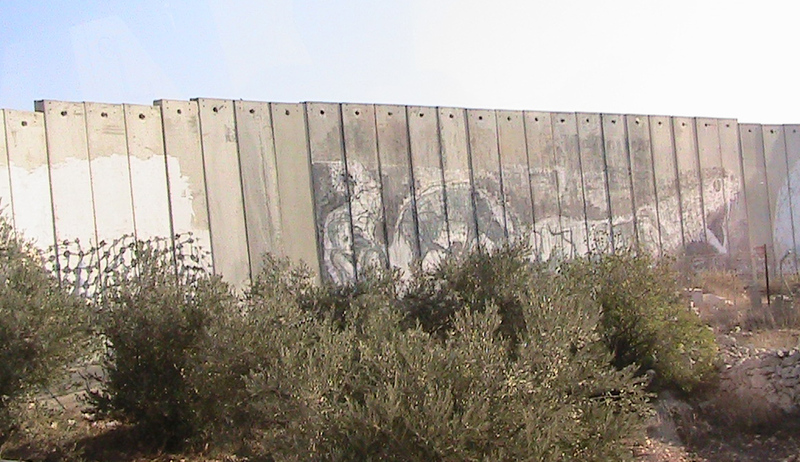 At the Wall, the men and women are again segregated: men to the left and women to the right. 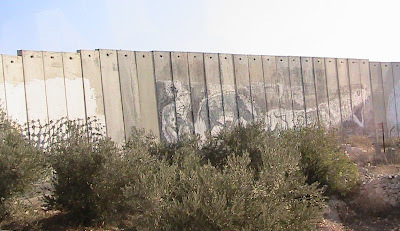 At the Wall, the men and women are again segregated: men to the left and women to the right. This is easily seen in the photo below, which was taken as we ascended the ramp to the Temple Mount itself. The first thing one sees when reaching the top of the Mount is a large "garden" area with some sizable everygreen trees. The group even had to dodge a bulldozer whcih was in the process of removing a pile of dead branches that were being removed. Beyond the garden, on the southeast corner of the Temple Mount is the al-Aqusa Mosque. The picture below shows the purification area just in from the Mosque. When we looked to the north, we got our first "up close" view of one of the most famous landmarks on earth, The Dome of the Rock. In the picture below we have gathered in the shade just inside the south entrance to hear George give a brief history of the site and some interestng connections with other places that we will visit. We were not allowed inside, but were given a fair amount of time to walk around the Dome and take pictures. The picture below: from the Arch entry way on the west, one can easily see the Mount of Olives. The gold domes of the Orthdox Church of St. Mary Magdalene is clearly visible at the bottom of the first arch on the left. With our time on top of the Temple Mount ended we exited the site to the north where we went to visit the Church of St. Anne, the mother of Mary. The church was built by the Crusaders who believed it to be the birthplace of St. Anne, This church is one of the few that were not destroyed by the invading Mamelukes in the 12th Century. The Church has superb acoustics, and we entered and sang as a group,the chorus to "Here I Am, Lord" and the first verse of "Amazing Grace" – but pausing between phrases to listen to the reverberation. Though relatively small, the church has a 6-second "delay." What a wonderful place to sing! 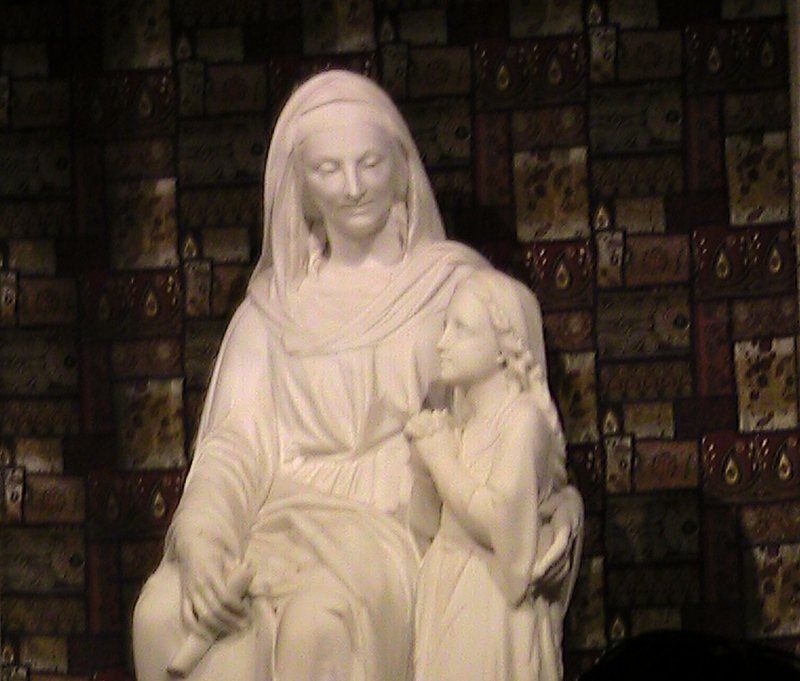 One of the most touching features of the Church is the beautiful statue below of St. Anne with the child Mary. Just outside the Church of St. Anne is another area of excavation, this one of ancient healing pools. Our afternoon completed, we exited the Old City of Jerusalem through the "Lion's Gate"–in the picture below note the lions on either side of the opening. This gate is also know as "St. Stephen's Gate." A very long but very rewarding day for everyone. God bless you all!